The Philippine Web Designers Organization celebrates its 10th year by launching an all-Masterclass edition of <form> function() & .class, featuring Vitaly Friedman, Hui Jing Chen, & Holger Bartel. 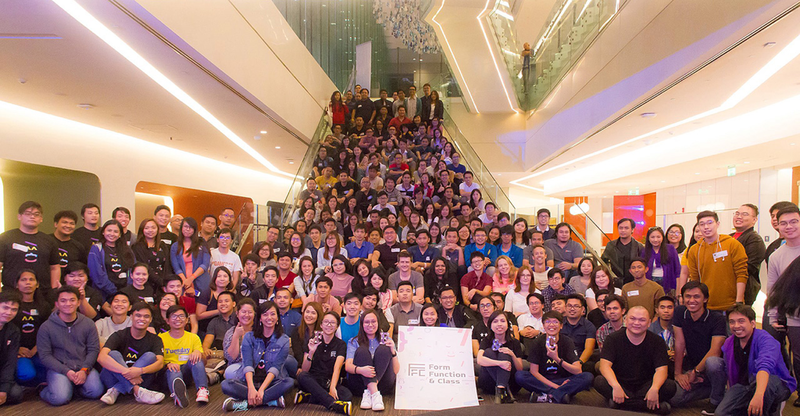 What started out as a simple goal of starting a web design conference in the Philippines has turned into a highly-admired and well-loved event for the community, by the community. The first <form> function() & .class was held in July 2009 at the Asian Institute of Management. Over the years we’ve introduced workshops and masterclasses to FFC, and this year we’re doing something different once again: an all-masterclass format. What exactly is a Masterclass, you may ask? It’s our term for a whole-day, intensive, hands-on training session headlined by no one but the best in the field of web design and development. <form> function() & .class first introduced the Masterclass in 2015 with Brad Frost, Everything You Wanted to Know About Responsive Design…And Less! This 2018, there will be three concurrent tracks. But you can only attend one, so choose wisely! Vitaly loves beautiful content and does not give up easily. From Minsk in Belarus, he studied computer science and mathematics in Germany, discovered the passage a passion for typography, writing and design. After working as a freelance designer and developer for 6 years, he co-founded Smashing Magazine, a leading online magazine dedicated to design and web development. Vitaly is also the author, co-author, and editor of all Smashing books. He currently lives in Freiburg, Germany. His Masterclass, New Adventures in Responsive Web Design, will be looking into a strategy for crafting fast, resilient and flexible responsive design systems by utilizing all of those wonderful shiny web technologies we have available today. Hui Jing is a self-taught designer and developer with an inordinate love for CSS. Reducing lines of code in her web projects makes her extremely happy. She used to play basketball full-time and launched her web career during downtime between training sessions. She also co-organizes Talk.CSS and currently lives in Singapore. Her Masterclass, Grid is the New Black, will tackle web layouts using CSS grid, flexbox, additional properties for layouts like transforms & writing-modes, feature queries, and devising fallbacks for older browsers. Holger Bartel is co-founder of the design studio uforepublic and Colloq.io, an online community that lets you discover and track events such as conferences. He works as a web design consultant and front end developer, passionate about web performance. He also runs Harbour Front, a web design meetup to connect the local community, and currently lives in Hong Kong. His Masterclass, Solid Strategies to Build for a Better Web, will discuss essential web development tips for accessibility, user experience, design, and performance. Whom is <form> function() & .class for? FFC caters to web designers, front-end designers & developers, user interface designers, interaction designers, mobile designers, user experience designers, graphic designers, web developers, webmasters, bloggers, marketers, social media managers who work on websites, media practitioners, students in information technology, visual communication, multimedia arts, human computer interaction, and other related professions. If you work on web and mobile interfaces and digital products, FFC is for you! Why should I attend FFC? 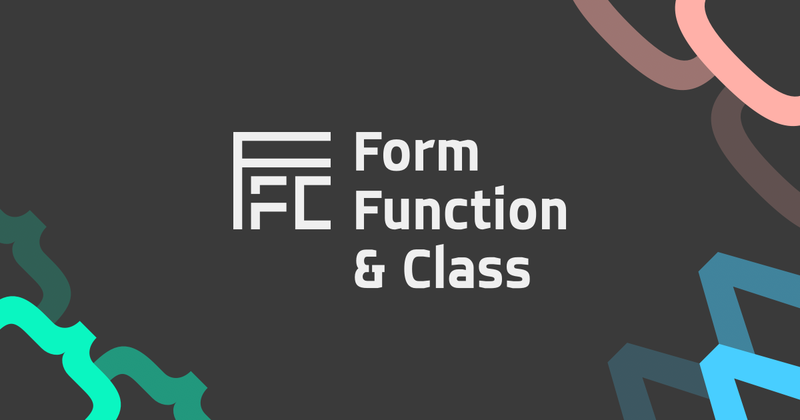 <form> function() & .class is a unique, once-in-a-lifetime opportunity to be trained by the most talented people in the industry. At FFC, you’ll learn case studies, best practices, and solutions while interacting with your peers and colleagues. Everything you can take home from the conference will help you effectively meet and overcome the biggest web design challenges you are facing today! You’ll hear from amazing speakers who are the best in the business. Not only are they updated with what’s new in the industry, they’re the trailblazers and innovators themselves–and they’re sharing their wealth of knowledge with you! Every year, we get attendees coming up to us & telling us that they’re on information overload and that they wouldn’t have known about the new technologies available to them if they hadn’t attended the FFC conference. That’s what we want, to nudge our attendees in the right direction so they remain globally competitive in an industry that’s incredibly fast paced. How do I register for FFC? To register, go to https://2018.formfunctionclass.com/tickets. Early Bird registration is until April 30. Registration closes on August 2. Special discounts, promos, and raffles are available. FFC also has a Scholarship program which awards tickets to those who don’t have the resources to attend FFC. Online and offline payments are available. More details can be found on the Tickets page. Why is it called FFC? <form> function() & .class is organized by the Philippine Web Designers Organization (PWDO), a non-profit volunteer group that aims to uplift the state of web design in the country. Besides our flagship event, we also organize MiniFFC meetups, workshops, and roadshows. Our events may be varied and continuously shift in form, buzzwords might come and go much like the dynamic nature of this industry, but our goals remain: to unite professionals & enthusiasts who create human interfaces for the Web, to champion the use of standards, accessibility, & usability, and to uplift the state of web design in the country.